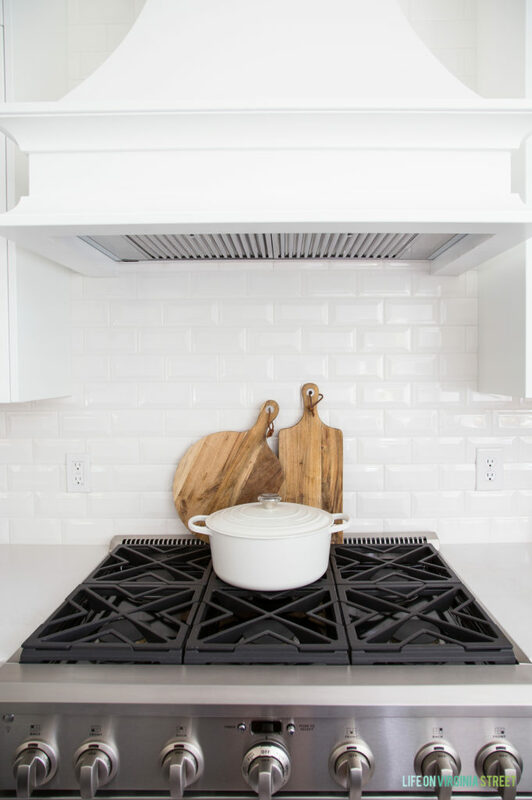 Our Favorite Kitchen Accessories and Small Appliances – And How To Buy Them for Less! 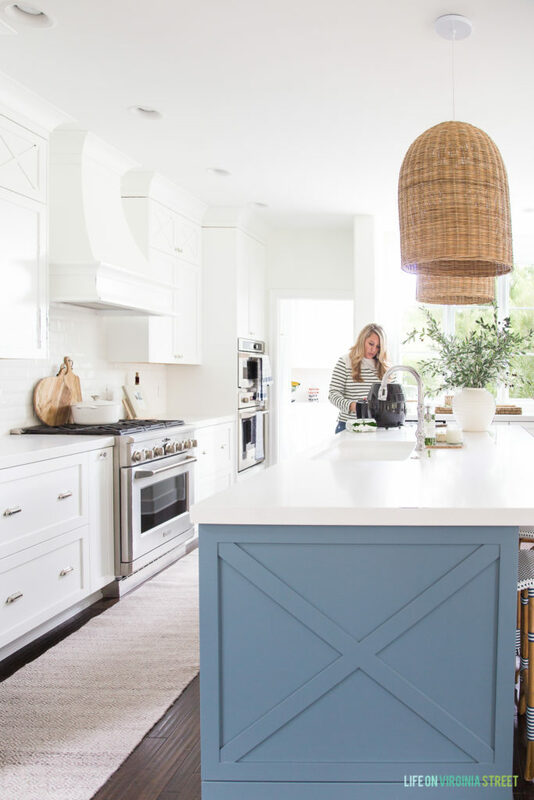 It’s no secret that our kitchen renovation is my favorite project and renovation to date! Now that summer is over, we’re determined to get back to eating at home more frequently. 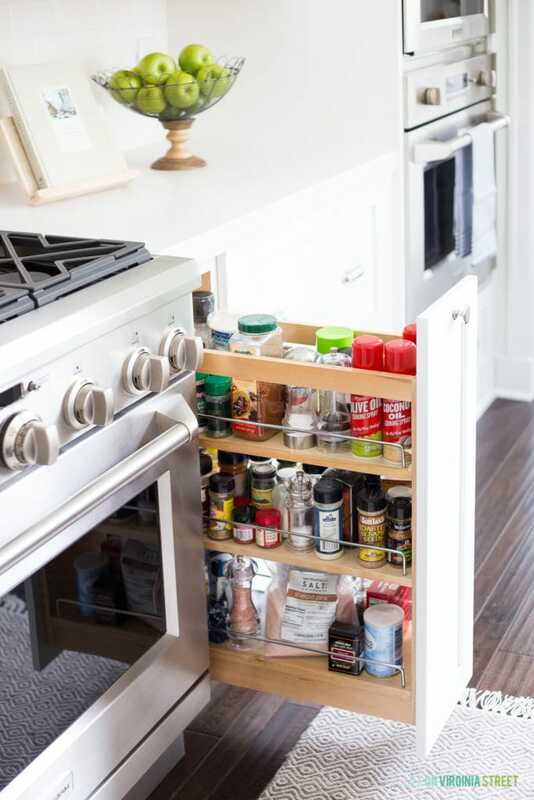 With that, today I thought it would be fun to share our most-used and favorite kitchen accessories and small appliances! This post is sponsored by eBay and contains affiliate links. As always, all thoughts and opinions are my own. Click here to read my full disclosure policy. Waffle Maker – Kurtis uses his waffle maker daily for breakfast each morning. This model is perfect for a single serving, but eBay is loaded with waffle makers of all shapes and sizes to suit your needs! Magic Bullet – We have a Vitamix as well, but it seems like we always go back to our Magic Bullet for most jobs. Kurtis uses it multiple times a day to make his waffle batter, to mix shakes, and more. I use it to make salad dressings or to mix things that may also require a bit of blending. It’s hard to believe, but I’m pretty sure this is an item we added to our wedding registry over 13 years ago, and it still works and we use it daily! 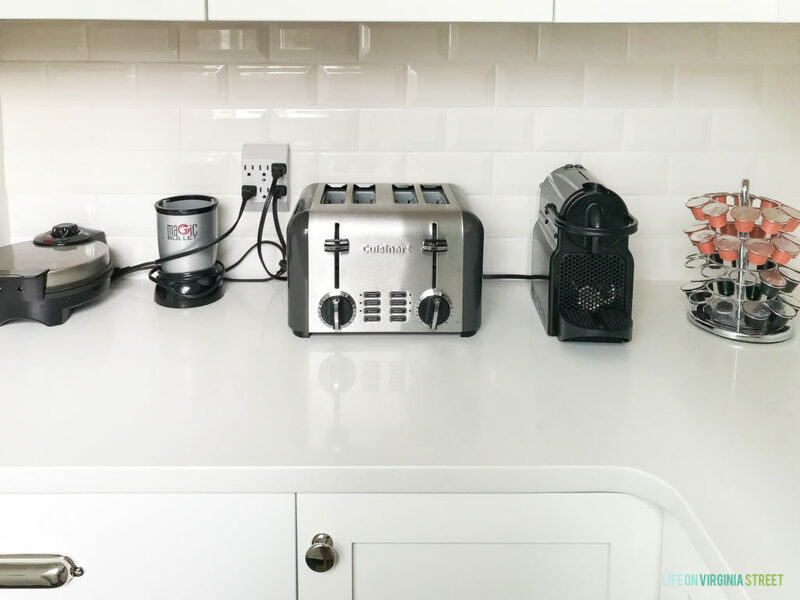 Nespresso Machine – I chatted about this briefly earlier this year, but after vacationing in a few hotels that had a Nespresso machine, we were hooked! We have the super basic version that only makes espresso, but now there are so many amazing options! The espresso is pretty legit for a pod machine and we use it when we want to treat ourselves with dessert and coffee. We’re big fans of the pods that also create crema! So delicious! The three small appliances mentioned above have a full-time place on our pantry countertop, along with our toaster. FrenchMay Air Fryer – Easily one of our favorite small appliances! We haven’t broken it out much this summer because we try to limit cooking to the grill outside, but we brought it back out a few weeks ago. If you haven’t tried the Green Giant Cauliflower Tots in an air fryer, you’re missing out! We liked them in the oven (but never thought they were crispy enough), but we’re obsessed with them in the air fryer! I have a whole post dedicated to air fryer recipes if you’re needing more inspiration! Le Creuset Dutch Oven – It’s officially soup and chili season! Soup is easily my favorite “food group” and I even enjoy it in the hot summer months! After a lot of research and feedback from all of you, last year I invested in a Le Creuset Dutch Oven. I went with the 7 1/4 quart because I like to make big batches so we have leftovers. I actually leave it out on our stove permanently because I also think it’s beautiful to look at! Salad Spinner – This is an item my mom got us hooked on – and sometimes I swear Kurtis just wants to use it because he thinks it’s fun 😉 We eat a lot of Romaine hearts around here, whether in place of taco shells or wraps, or simply as a salad. We love our salad spinner for quickly drying lettuce once it’s washed! Black & Decker Cordless Hardwood Floor 2-in-1 Vacuum – We store this cordless vacuum in our pantry and it’s a total lifesaver for cleaning up messes and cat hair in a hurry. Our dark hardwood floors show everything, and because this is cordless and easy to use, I tend to use it daily, if not twice a day! 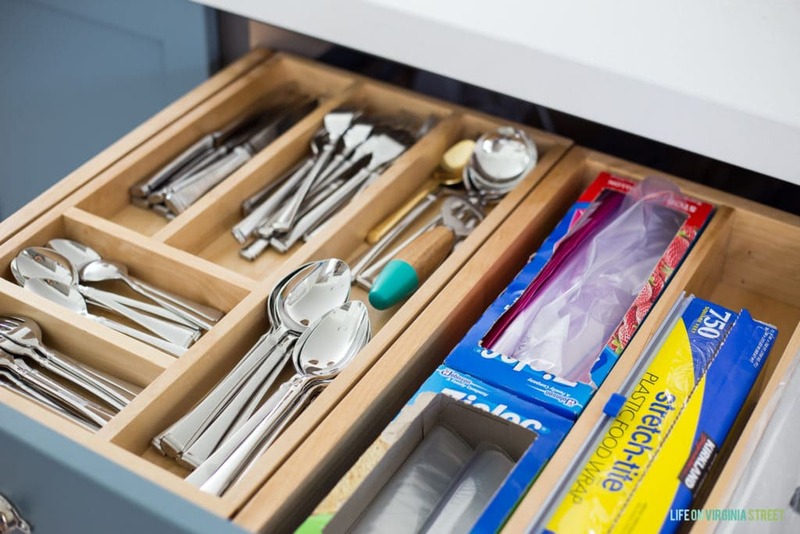 Rev-A-Shelf Accessories – Our kitchen has been dramatically changed with the addition of the Rev-A-Shelf cutlery drawer, pull-out spice rack, and utensil bin organizer. And although our garbage drawer is now custom, it was inspired by the Rev-A-Shelf garbage bin we previously had! We also have an Instant Pot but it’s one of those things that just hasn’t clicked yet for us! I know people are obsessed with them (including my mom who makes tons of meals in hers). Hopefully you all can give me some tips on how to best take advantage of it! 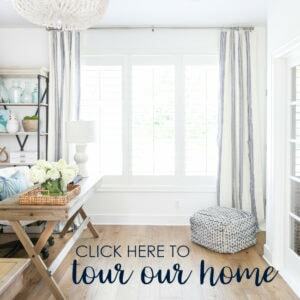 Regularly check the Home & Garden Deals page for all the best sales! If you’re looking for a specific appliance, it can be helpful to include the model number so you’re not overwhelmed by the choices! You can actually follow your search words or certain items! This way, if new items appear, you’ll be notified! Do your research to ensure a smoother transaction. I’m very particular about the sellers I’ll buy from on eBay. I read through reviews, check their rating, see what other items they’re currently selling, etc. before making a purchase. This will help ensure that the item you buy arrives as you expected it to! 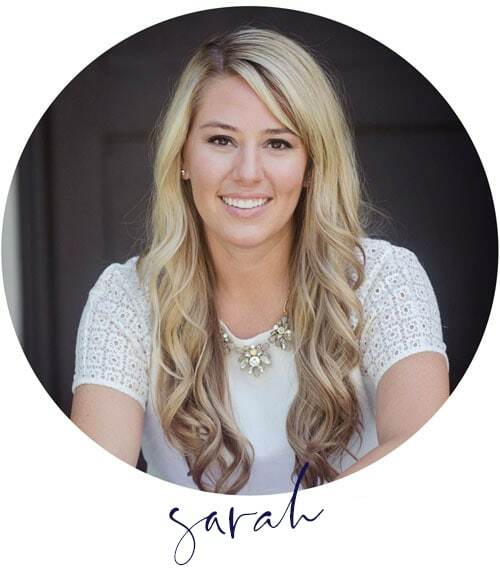 This will narrow down your search to new items that are immediately ready to buy – no auctions required! I hope you found all of these tips helpful! Are there any other kitchen accessories and small appliances you can’t live without? I’d love to hear! I’m working on our kitchen now (we’re building a house in Washington state by Lake Chelan). I LOVE your posts! 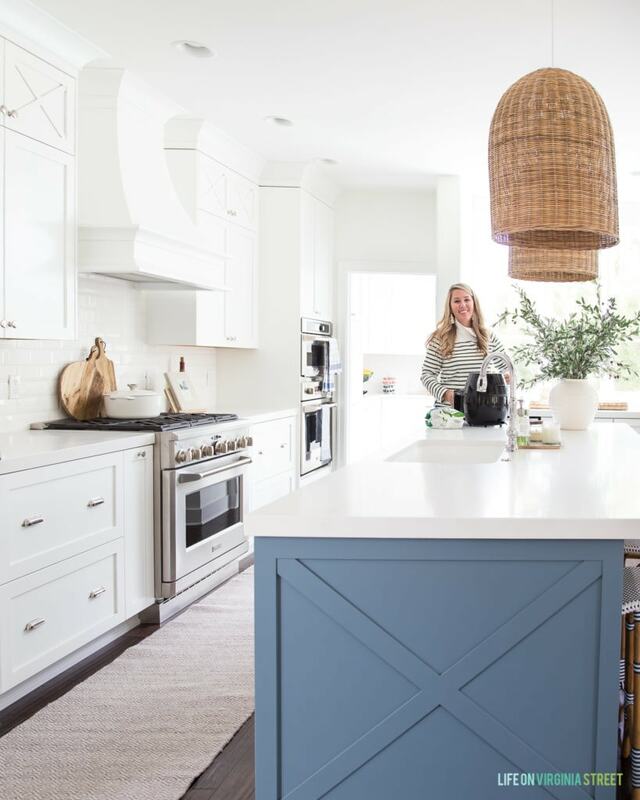 And I love how your kitchen turned out- I really like your simple, no clutter style. Yet you have cats, so your posts are pretty real! Anyway, my question is: regarding your cutlery drawer. 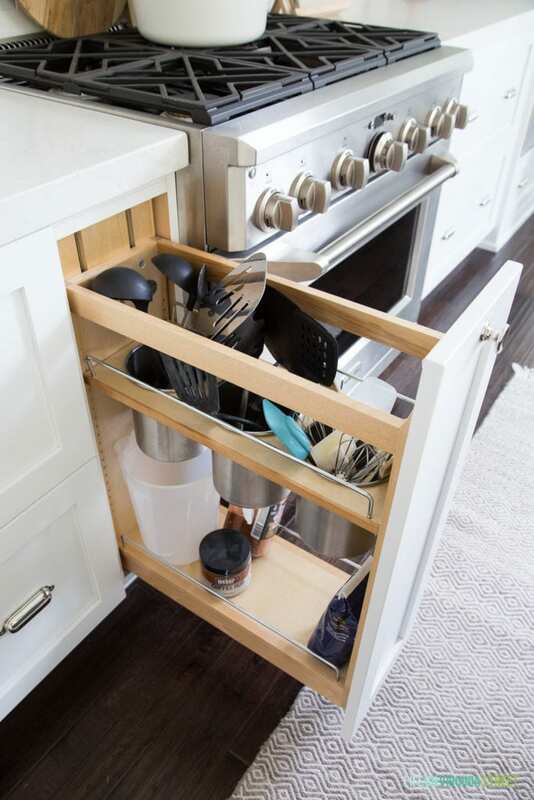 Do the re-a-shelf inserts completely replace a regular drawer? Or are yours 2 inserts? Your drawer looks good size. Thanks and keep up your great posts!